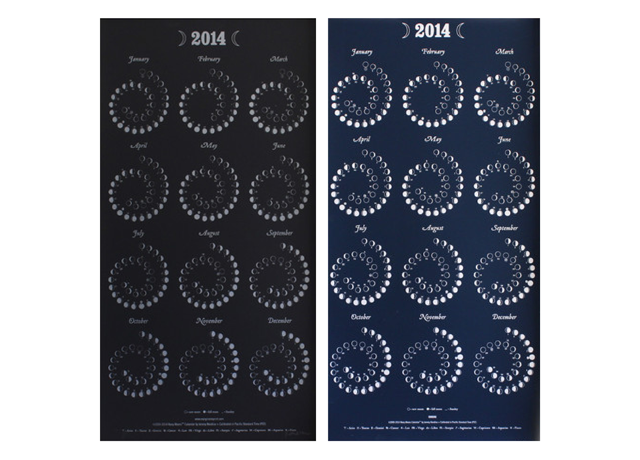 Gorgeous 2014 Moon Calendars by Margins Imprint. Check them out and shop here. Images above courtesy of marginsimprint.com. Calendars above shown in Silver on Black and Night Sky.